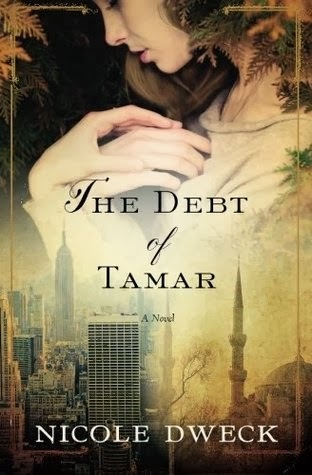 Today Kelly and Marg are pleased to bring you a discussion review of The Debt of Tamar as part of the HFVBT blog tour! Hope you review the post, and if you like the sound of the book check out the giveaway at the bottom of the post! Kelly's thoughts are in blue and Marg's in black. Its been a while since we have done one of these Kelly! I thought I would start this discussion by talking about the story and hopefully along the way we will be able to touch on how the book is structured and how that helps or hinders the plot. The book opens in 16th century Spain. Dona Antonio Nissim is friend to royalty, well respected and wealthy but none of that will protect her when she upsets royalty by refusing a match for her beautiful young daughter. And there is especially no protection when it is found that you are actually Jewish, something which comes as something of a surprise to her daughter Reyna and her nephew that she has been raising to become the head of her family, Jose. Forced to flee, the family is accepted into Turkey under the auspices of the sultan Suleiman and the family settles into a new life which is complicated by the fact that Reyna and Jose fall in love. The action then moves forward a few years as their daughter Tamar is given the great privilege of being educated within the walls of the sultan’s harem, where she meets and falls in love with the heir, Murat. But theirs is a love that crosses culture and faiths and it isn’t long before the young lovers are torn apart but not before he gives her a ruby ring that ends up being passed from generation to generation. Murat goes on to rule the realm, but he and his descendants are forever to be cursed, in effect the debt of Tamar that the title of the book refers to. I have to admit, I think I was confused about the curse when it was first mentioned in Murat’s part of the book. I think it was only when the book shifted to the Present Day that I fully understood. I guess that’s because I thought if anyone should be cursed, it should be her father because it is him that sends her away. What did you think of the curse? I was a bit confused by the curse at first too, almost as though the injured party was cursed rather than the injurer (is that even a word?). It did work itself out by the end of the book though! But, after Murat’s time has come to an end, the book flashes to the present day. The Sultan’s reign has come to an end and now Selim Osman, the grandson of the last Sultan, is a successful business man. He is still living in the shadow of his ancestors. His father and brother are deceased and his mother left to go live with her aunt. He is essentially an orphan who finds himself diagnosed with a life-threatening disease. When he goes to New York to seek treatment, the stories of his ancestors and Tamar start to intertwine. Then, the time changes again, and we are in WWII-torn Paris, France. In Paris we meet Davide. His parents were the victims of the Holocaust and he was raised by a kindly baker and his wife. Unfortunately, he can not live that idyllic life forever and his ancestors catch-up with him. He quickly changes his entire life to embrace his heritage and decides to leave Paris behind to visit the land of his ancestors. Then it is back to the future again for the stories to come together. I will leave it there for readers to get a taste of how things are going to come together. What did you think of the characters? Did you have a favourite? As we will discuss below, I find that the characters didn’t have a time in the book to really stand out. I thought that Reyna and Jose’s relationship was sweet, but it was so rushed there was no build up or drama. And, I really liked Reyna’s mother, but again, I didn’t really get a chance to get to know who she was. She was a strong and intriguing character that I would love to see an entire book about! Again, Murat and Tamar, sweet relationship, but for having lasting consequences through a curse it was again rushed. I didn’t get the tension because there was no time to get to feel it. Basically, though, the characters are all interesting. I just wish we had got to know them a bit better. I am probably the same as you. I didn’t feel connected enough to any one story to say I had a favourite character. The story jumps around a fair bit from 16th century Spain to modern day Turkey and America, and to Israel and France in the mid 20th century. How did you find these changes in time and characters? Did it flow smoothly for you? As to the actual time changes themselves, I enjoyed the glimpses of different aspects of history, but just like the characters I wish we had a chance to experience things longer. I think that might be one of the shorter glimpses of the Holocaust, for example, I have ever experienced. And, I read this book because of the ‘different’ aspects of history and still didn’t feel like I learned enough. I suppose as a ‘learning’ experience I should read a non-fiction book and not look for it in fiction. Had you read much about the expulsion of the Jews from Spain before? I had only read about about it a few months ago in another book so it was interesting to contrast how two authors handled the aspects of the story which were similar. I have not, actually. I think that is why I was curious about this book. I have read a lot about the Jewish experience, but it was typically surrounding the Holocaust and those aspects of history. I will have to seek out some more books and read more about these times in history. I thought that the changes in time and setting were handled well but I wanted more from each of the stories. We were just starting to learn about one character and then it would change to another story. I guess wanting more is better than being bored with a particular story and wishing that it would change to someone else though! I did find the story of Davide very interesting. That one thread alone would have made a really good subject for a book. A Jewish baby raised by a Catholic family, the drama when the truth came out, the divergent path of the two brothers. I wanted more! That’s true. I wasn’t bored at all. I actually found that the book was a relatively fast read! It was definitely a fast read, and one that it is easy to get invested in. It is actually one of those books that I probably wouldn’t have read if not for the enthusiastic reports from other bloggers. This meant that when we got the offer for the blog tour I was primed to accept it and to read the book. Did the book meet your expectations, were you surprised it was a debut novel and would you recommend it to others? I have to admit I was just looking for something ‘different’. I wasn’t even aware that it was getting a lot of buzz. I should pay more attention, I guess! I agree with the buzz, though. My only complaint was that I wanted more. And, yes, for a debut, it was very well done. To be honest I didn’t know it was a debut and I think I probably only read it because of the tour. Now, the tour might have changed that when I saw the book around more! What about you? What did you think of the ending? I liked the ending. I liked how everything came together. I think that even though it was quick snippets, you find yourself waiting for the ending. I am not sure the book ended as I expected, but that was not a bad thing! I think the ending made me love the book where I was only sort of a fan before that. I thought it was a good place to end the story. There is a glimpse of hope for the future but it wasn’t a sugar coated fairytale type ending. There was a good mix of history, a touch of romance of the doomed variety, and, for a debut novel, I thought it was a good read. I will definitely look out for Nicole Dweck’s next book. Me too! Thanks for doing this buddy review with me! - to participate, leave a comment. Don't forget to include your email address in your comment. Thanks for interesting discussion/review. I'm attracted by the unique setting. I don't think I've ever read anything quite like this one. Sounds interesting! The cover is beautiful, too! Thanks for the chance to win.